These resources are supporting files and materials to be used in tandem with Because of Grácia Youth Curriculum. Voicing Faith: Sharing and defending our Christianity in public. The Because of Grácia Leader's Guide is designed for use with the related Because of Grácia Film and Faith Conversation Guide for students, a unique hybrid experience that offers complementary material for small group sessions, as well as daily reflections for students to use throughout the week in ""conversation partner"" pairs. The resulting 45-day experience allows young Christians to pursue discipleship with others, while helping them to wrestle with the difficult issues they're facing today. The Because of Grácia curriculum was created to affirm that with Gods amazing and empowering grace, young people CAN live in a new way. 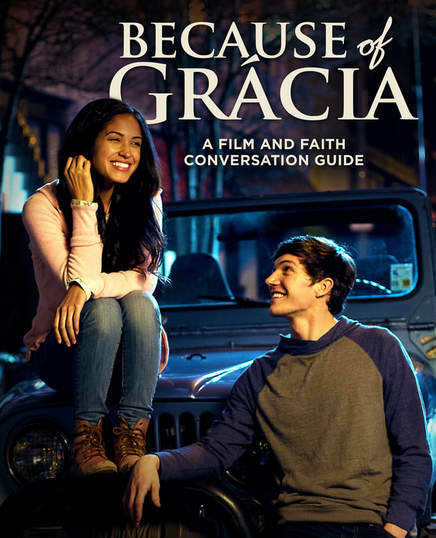 Take your students on a spiritual journey alongside Grácia, Chase, and the rest of Eastglenn High as they face life-altering decisions, learning that grace is both the gift of mercy when we fail and our empowerment to live in truth and light.